An entry visa to Cambodia is usually valid for 1 month. A Cambodian visa is required for almost all foreign nationalities visiting Cambodia. Usually it’s quite easy to obtain a visa, but please read the following information carefully before planning your trip to Cambodia. Also make sure to check with a travel agent in your home country, if there are any specific requirements for your country since visa regulations are subject to change. You need an international passport, issued by your country and valid for at least six months starting from the entry date in Cambodia. You’ll also need one passport-size photograph, taken no more then 12 months ago. The nationals of Laos, Malaysia, Philippines, Singapore, Vietnam, Thailand, Indonesia, Brunei Darussalam and Myanmar do not need a tourist visa and may stay in Cambodia for between 14 and 30 days. More information here. Cambodia offers several visa types to visitors of the country, from which the tourist and business visa are the most common ones. A tourist visa (T-type) costs US$30 and is valid for 30 days. Tourist visas can be extended 1 time for an extra period of 30 days, normally around $50 plus admin fee. An ordinary visa (E-type), often referred to as a business visa, costs US$35 and is valid for 30 days. 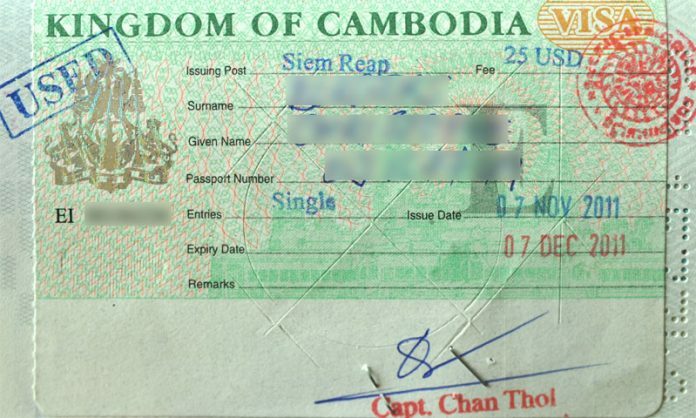 This visa can be extended indefinitely for 1 month, 3 months, 6 months or 1 year at a time, 6 and 12 month visas allow the holder multiple entries into Cambodia. If you have a 1 or 3 month visa and you leave Cambodia, your visa becomes void and you will need a new one if you re-enter Cambodia. Prices to extend range from $50 to $290. Since August 2016, the following extensions of stay are available for the E-type visa: EB (business), EG (general), ER (retirement), ES (student), ET (technician), EP (proposal). The requirements for each of these extension types are at the time of writing still unclear. The K-type visa can only be given to Cambodian descendants that enter Cambodia with a foreign passport. They need to have valid documents to show that their parents are Cambodian citizens. The K-visa will be issued one time and free of charge. The visa will allow the applicants to enter the Cambodian kingdom an unlimited number of times. Diplomatic, Official and Courtesy visas are provided for free, but you will have to meet very specific requirements for these visa types. Most people apply for a visa on arrival in Cambodia. However, it’s also possible to obtain a visa beforehand by applying for it online or by contacting an overseas Cambodian embassy. A Cambodian visa on arrival can be purchased on entering the country, either at one of the international airports or at one of the official checkpoints when crossing the border by land. There are currently only two international airports in Cambodia, one in Cambodia’s capital Phnom Penh and one in Siem Reap. Cambodian visas are available at both of these airports. The Poipet border crossing: Since most tourists coming from Thailand use the Poipet border crossing, queues can sometimes get very long. Try to arrive early morning at the border, lunch time is very busy and avoid weekends if you don’t want to lose time. Good to know: When you apply for a visa on arrival in Cambodia and fail to provide the required photograph, the official will usually charge you US$1 extra on top of the applicable visa fee. Additionally, when you apply for a visa on arrival at overland borders, expect to pay an extra couple of dollars on top of the advertised fee. The Ministry of Foreign Affairs and International Cooperation has established a system to process an online visa for Cambodia, called the e-Visa. You will have to complete the online application and provide a scan of your passport and photo (4×6). You will have to pay US$35 by credit card (US$30 for the visa and US$5 processing charge). The processing time will take 3 days and it permits you to stay for 30 days in Cambodia. It is valid for 3 months from the issuing date. The visa gets issued to your email, it’s your responsibility to print it. You can apply for the e-Visa on the following website: https://www.evisa.gov.kh/. Make sure to read the latest e-Visa requirements carefully since they change regularly. 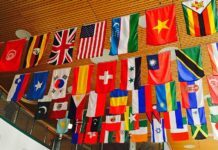 Not supported countries: If you are a citizen of one of the following countries, then you will not be able to apply for an e-Visa: Afghanistan, Algeria, Arab Saudi, Bangladesh, Iran, Iraq, Pakistan, Sri Lanka, Sudan, Nigeria. Please research if you can apply for a visa on arrival or contact the nearest Cambodian embassy. A third way to obtain a visa is through one of the overseas Cambodian embassies. 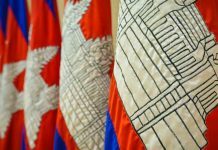 Check the following list of Cambodian embassies to see if there’s one available in your country. The following 3 documents have to be filled in when you apply for a visa on arrival. It doesn’t matter if you arrive by air or land. Make sure you indicate clearly for which visa you are applying. It’s impossible to change a tourist visa into a business visa afterwards. If you want to stay longer than 30 days in Cambodia, you will have to extend your visa at the Immigration Department in Phnom Penh. Their offices are located on Nr 223, Confederation de Russie (Airport Road), opposite the Phnom Penh International Airport. Contact them by phone on +855 12 581 558. However, when you stay in Siem Reap or another city, you don’t need to travel to Phnom Penh. You can just ask a local travel agency to take care of the extension. They will charge you a fee for the extension and you may have to provide them with a passport-size photograph (4×6). You will have your passport and visa extension back in about 5 working days. A diplomatic, official and courtesy visas can be extended at the Consular Department, Ministry of Foreign Affaires and International Cooperation in Phnom Penh. Good to know: If you overstay your visa, you will have to pay US$10 a day as a penalty on leaving the country. Beware of visa scams at all overland border crossings, but especially at Poipet and Koh Kong. Never let somebody else arrange a visa for you. The visa application is very easy and only costs $US30 for a tourist visa. Do not listen to drivers and touts who will offer their help and make you believe that a visa costs US$40 or more. Some immigration officials will ask a 100 Baht surcharge at the Poipet immigration office. 100 Baht is more or less US$3. Decide for yourself if you are willing to pay this extra ‘bribe’ or not. To avoid it, you could ask them in a polite way for a receipt or explanation. However, never lose your good mood or show any anger. This can only give you extra hassle.